St. Joseph’s School popularly known as North Point. The name North Point came about because the school is situated in that area of Darjeeling. 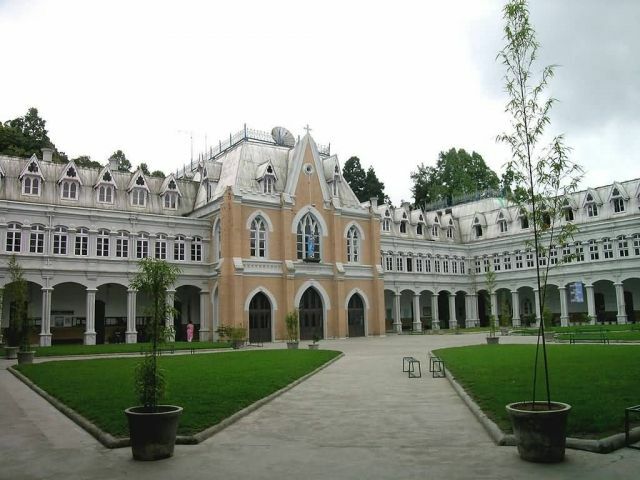 The Kangchenjunga mountain range forms the backdrop to the school, with Grecian columns and cuneiform windows enclosing an eye-catching quadrangle in the centre. The school was opened on 13 February 1888, at Sunny Bank in Darjeeling town. There had always been a scattering of English, French and German boys, now students from China, Tibet, Bhutan, Nepal, Thailand and Burma Indonesia started arriving. The North Point academic year is February-November. There is Fraser Hall in PD building and the auditorium as seen from the football ground. The major sports seasons are cricket, football and hockey. According to the EW Survey of Schools, the school is one of the best boarding/residential schools in the country.